I'm Twitter-following everybody whose name is above mine. 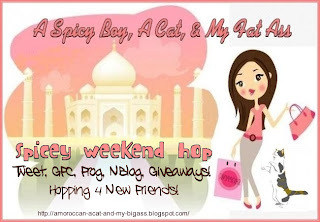 Thanks for another great weekend blog hop! Hi Kimberly, thanks for hosting this great hop! Fantastic for young blogs like mine. Have a gd weekend :) I've linked and followed u. Drop by my blog when u can!